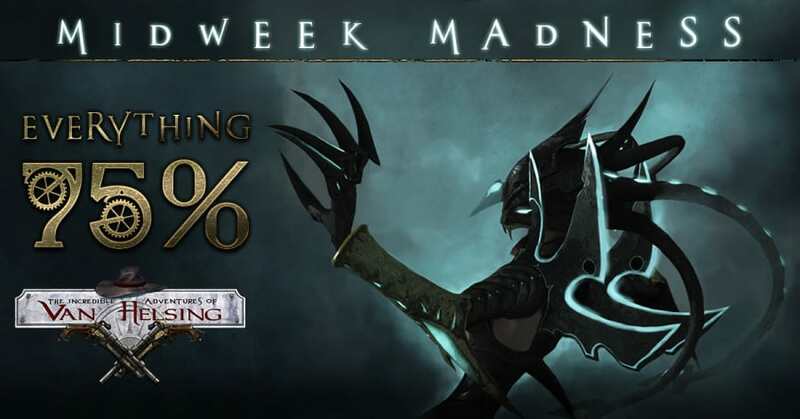 Van Helsing Franchise: Midweek Madness Sale! There’s a huge sale now on Steam: all of our games in the Van Helsing franchise (ALL OF THEM) have a 75% discount. This discount is also available on our own Neocore Store if you’d choose to buy the games from there. This is our biggest discount yet on these fast-paced and incredibly fun Action-RPGs, so this is the best time to grab all the games in the franchise! If you have any questions or problems, contact [email protected], we’ll help! Other than that: enjoy!